Dilson Jose Herrera Garcia became the first Colombian-born player to appear in a game for the Mets and the 14th in the majors... Played for Team Colombia in the qualifier for the March 2017 World Baseball Classic...Was also on the team for the qualifier for the March 2013 tournament...Loves to spend time at the various Cartagena beaches...Also enjoys movies...His younger brother, Jose Maria, plays for a local youth team (Jackies) in Colombia. Made 53 appearances and 17 starts for the Reds, his first major league action since the 2015 season with the Mets...Hit .297 in 71 games at Daytona (A) and Louisville (AAA) before he was promoted on July 6...Spent the rest of the season with the Reds...Played first base, second base, third base and left field at the major league level...His 11 games (seven starts) in left field were his first major league appearances in the outfield...His games at first base and third base were his first at the corner infield positions at any level... Led the Reds with 3 pinch-hit home runs...In the Reds five-run seventh inning on July 13 at St. Louis, produced a three-run, pinch-hit HR, his first major league hit, homer and RBI since September 27, 2015...Was his first career pinch-hit home run and tied his career high for RBI in a game (three)...His two-out, RBI single on July 23 off St. Louis' Bud Norris was the first walk-off hit of his career. Spent the season on Class AAA Louisville's roster and made 68 apps surrounding 2 stints on the disabled list with an impingement in his right shoulder (6/22-6/29, 7/21-remainder of the season)...on 8/1 had season-ending surgery to debride his right shoulder (Dr. Timothy Kremchek)...made his last appearance of the season on 7/19 vs Syracuse...pinch hit and then played second base...in June and July combined to hit .322, raising his season BA from .228 to .264...hit .296 with runners in scoring position. Spent the season at Class AAA, where in 110 apps for Las Vegas and Louisville he combined to hit .274 with 24 doubles, 4 triples, 15 HR, 64 RBI and 7 stolen bases...on 8/1 was traded from NYM to the Reds, along with minor league LHP Max Wotell, in exchange for RF Jay Bruce...was assigned to Louisville, where he spent the rest of the season...in March hit .364 for Team Colombia in the qualifier for the March 2017 World Baseball Classic tournament. Recalled from Las Vegas (AAA) of the Pacific Coast League on May 1...Optioned back to Vegas on June 30...Was Recalled on September 8... Was placed on the 15-Day Disabled List on May 16 (retroactive to May 15) with a fractured tip of his right middle finger...Played in three rehabilitation games with St. Lucie (A) of the Florida State League and two with Vegas before being reinstated on June 11...Was the youngest position player in the major leagues during his first call-up this season....Tied his career-high with three hits and drove in two runs with a double and home run on September 27 at Cincinnati....Registered a career-best 11-game on-base streak from May 6-June 15...Batted .316 (12-38) with two doubles, two home runs and four RBI... Also put together a four-game hitting streak from June 12-15, a career-best....Went 3-3 with three RBI on May 6 vs. Baltimore... His three hits tied a career-high and his three RBI also tied a career-high (also done September 1, 2014 at Miami)...Became the second Mets player age 21 or younger to go 3-3 (or better) in a game....Hit a home run and stole his first career base on June 14 vs. Atlanta...Had five home runs and 15 RBI through his first 32 career major league games, both the most by a Mets second baseman in team history after 32 games. The Mets selected his contract from Binghamton (AA) of the Eastern League on August 29, and made his major league debut that night...Age was 20 years, 179 days at the time of his debut...Went 0-3 with an error...Became the youngest Mets player to debut since Ruben Tejada (20 years, 162 days) and Jenrry Mejia (20 years, 178 days) on April 7, 2010...Finished the year as the youngest player on an MLB roster...Left the game on September 20 with a right quad strain and did not play for the remainder of the season...Began the year with St. Lucie (A) of the Florida State League...Also played with Binghamton (AA) of the Eastern League after being promoted on June 19....Was also the youngest player in the Eastern League...Became the first Mets position player to begin the season on a Single-A roster in a non-rehabilitation assignment and appear in the major leagues later that same season...Prior to Herrera, pitchers Mike Pelfrey and Alay Soler were the last to make the jump, doing it in 2006...Lefthander Dario Alvarez also did it later in the season...Became the 14th native of Colombia to appear in the majors and first for the Mets...Named the Sterling Organizational Player of the Year...Hit .323 (169-524) with 98 runs scored, 33 doubles, 13 home runs, 71 RBI, 23 stolen bases and a .379 on-base percentage in 128 games combined between Binghamton (AA) and St. Lucie (A)...Named a FSL All-Star...Led off for the South squad and went 0-3 with two walks and an RBI in the North's 6-4 win on June 14 at Bradenton...Collected his first major league hit on August 30 vs. Philadelphia...Singled against Jerome Williams. Hit a home run (off Henderson Alvarez), a triple and drove in a season-best three on September 1 at Miami...Became the youngest player to hit a home run (20 years,182 days) for the Mets since Jose Reyes on August 28, 2003 (20 years, 78 days)...Was the fifth-youngest player overall to hit a home run for the Mets...Also became the youngest player in team history to hit both a home run and a triple in the same game...He was 15 days younger than Ed Kranepool on May 24, 1965, who homered and tripled against Jim Bunning...Finished with a season-best three hits on September 5 at Cincinnati...The team went 11-6 (.647) in his starts, all of which came at second base...All three of his home runs came on the road, where he hit .323 (10-31). Hit .310 (27-87) vs. lefthanded pitching with the Pirates' West Virginia (A) farm team of the South Atlantic League...Batted .313 (31-99) in 25 games in May...After coming over from the Pirates on August 27, he played in seven games for the Mets Savannah (A) farm club of the SAL. Hit a combined .286 (65-227) in 65 games with the GCL Pirates (R) of the Gulf Coast League and State College of the New York-Penn League. November 30, 2018 2B Dilson Herrera assigned to Syracuse Mets. November 29, 2018 New York Mets signed free agent 2B Dilson Herrera to a minor league contract and invited him to spring training. November 13, 2018 Tigres del Licey placed 2B Dilson Herrera on the reserve list. 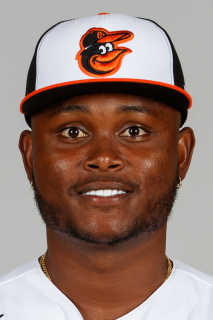 November 2, 2018 2B Dilson Herrera elected free agency. November 2, 2018 Cincinnati Reds sent 2B Dilson Herrera outright to Louisville Bats. October 13, 2018 2B Dilson Herrera assigned to Tigres del Licey. July 6, 2018 Cincinnati Reds selected the contract of 2B Dilson Herrera from Louisville Bats. May 3, 2018 2B Dilson Herrera assigned to Louisville Bats from Daytona Tortugas. April 4, 2018 2B Dilson Herrera assigned to Daytona Tortugas from Louisville Bats. March 13, 2018 Cincinnati Reds sent 2B Dilson Herrera outright to Louisville Bats. March 13, 2018 Cincinnati Reds invited non-roster 2B Dilson Herrera to spring training. October 2, 2017 Cincinnati Reds recalled 2B Dilson Herrera from Louisville Bats. July 21, 2017 Louisville Bats placed 2B Dilson Herrera on the 7-day disabled list. June 30, 2017 Louisville Bats activated 2B Dilson Herrera from the 7-day disabled list. June 22, 2017 Louisville Bats placed 2B Dilson Herrera on the 7-day disabled list. March 15, 2017 Cincinnati Reds optioned 2B Dilson Herrera to Louisville Bats. October 3, 2016 Cincinnati Reds recalled Dilson Herrera from Louisville Bats. August 2, 2016 Cincinnati Reds optioned 2B Dilson Herrera to Louisville Bats. August 1, 2016 Cincinnati Reds traded RF Jay Bruce to New York Mets for 2B Dilson Herrera and LHP Max Wotell. July 14, 2016 Las Vegas 51s activated 2B Dilson Herrera from the temporarily inactive list. July 9, 2016 Las Vegas 51s placed 2B Dilson Herrera on the temporarily inactive list. March 15, 2016 New York Mets optioned 2B Dilson Herrera to Las Vegas 51s. November 2, 2015 Dilson Herrera roster status changed by New York Mets. October 9, 2015 New York Mets reassigned 2B Dilson Herrera to the minor leagues. September 8, 2015 New York Mets recalled 2B Dilson Herrera from Las Vegas 51s. June 30, 2015 New York Mets optioned 2B Dilson Herrera to Las Vegas 51s. June 11, 2015 Dilson Herrera roster status changed by New York Mets. June 8, 2015 New York Mets sent 2B Dilson Herrera on a rehab assignment to Las Vegas 51s. June 4, 2015 New York Mets sent 2B Dilson Herrera on a rehab assignment to St. Lucie Mets. May 1, 2015 New York Mets recalled 2B Dilson Herrera from Las Vegas 51s. April 7, 2015 2B Dilson Herrera assigned to Las Vegas 51s from Binghamton Mets. March 17, 2015 New York Mets optioned 2B Dilson Herrera to Binghamton Mets. November 4, 2014 2B Dilson Herrera assigned to Tigres del Licey. August 29, 2014 New York Mets selected the contract of Dilson Herrera from Binghamton Mets. June 19, 2014 2B Dilson Herrera assigned to Binghamton Mets from St. Lucie Mets. April 3, 2014 2B Dilson Herrera assigned to St. Lucie Mets from Savannah Sand Gnats. March 15, 2014 2B Dilson Herrera assigned to New York Mets. August 28, 2013 2B Dilson Herrera assigned to Savannah Sand Gnats. August 27, 2013 New York Mets traded C John Buck and RF Marlon Byrd to Pittsburgh Pirates for 2B Dilson Herrera. August 26, 2013 2B Dilson Herrera roster status changed by West Virginia Power. April 2, 2013 2B Dilson Herrera assigned to West Virginia Power from Jamestown Jammers. August 30, 2012 SS Dilson Herrera assigned to State College Spikes from GCL Pirates. June 17, 2012 Dilson Herrera assigned to GCL Pirates. May 15, 2011 SS Dilson Herrera assigned to VSL Pirates. August 25, 2010 Pittsburgh Pirates signed free agent SS Dilson Herrera to a minor league contract.